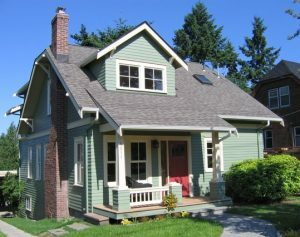 Reliant Construction’s home painter services are chosen for many of the finest homes in Houston because of our methodical and exceptionally detail oriented process for painting homes. We give outstanding attention to each of your instructions and concerns to make sure the end results is precisely what you envisioned. A fresh coat of paint is an excellent way to give any room of your house a new look and feel. Whether you would just like a new color, or you feel a texture on the wall would improve the style of your room, or you would like to replace that old, outdated wallpaper with paint, Reliant Construction can do it all. If the inside of your home is just how you’d like it, but feel the outside could use a facelift, Reliant Construction is up to the job. Reliant Construction recommends and uses Sherwin-Williams high-quality paints and stains. We will however use any brand of paint or stain you prefer for your home.